Collaborators at Boston Children's Hospital and the University of California San Francisco (UCSF) focused on mucosal melanomas—rare tumors found not on the skin, but in the linings of the respiratory tract, mouth, GI tract and genitourinary tract. Mucosal melanomas tend to come to light only when very advanced. Their biology is poorly understood, and they tend to lack the genetic mutations associated with skin melanomas. Thus, few patients benefit from targeted therapies. The five-year survival rate is only 33 percent. 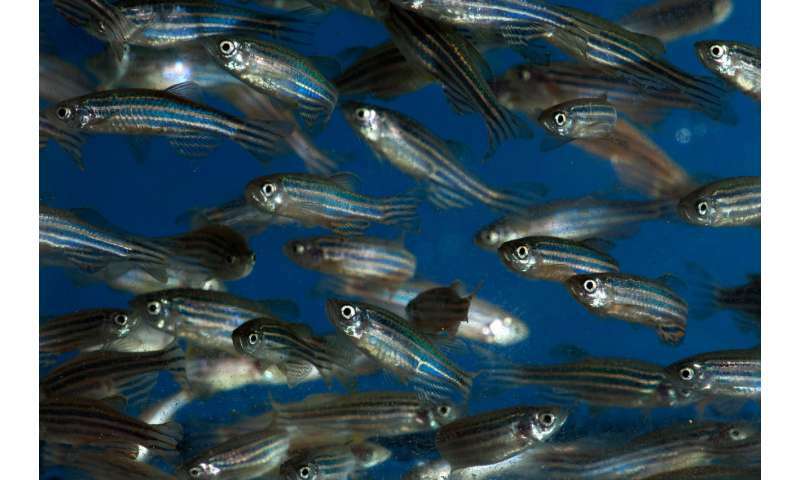 "Zebrafish offer the ability to test genetic hypotheses quite rapidly," says Julien Ablain, Ph.D., a fellow in the lab. "Genetic sequencing gives you a lot of information, but not a functional understanding of what the genetic alterations do. Our melanoma model allows us to ask these questions in large numbers of fish—and make statistically significant observations." The Boston Children's team approached the lab of Iwei Yeh, MD, Ph.D. at UCSF, which is known for having sequenced many different melanoma tumors. The lab indeed had a cohort of 43 patients with mucosal melanomas, as well as sequencing data.